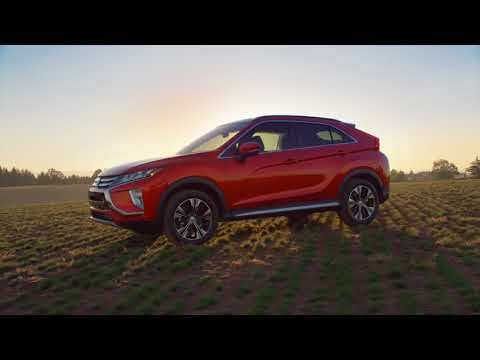 With a 1.5 turbo powered engine, the Mitsubishi Eclipse Cross returns an impressive rate of 42.8 combined MPG, making it the highest in its class. If normal road conditions are poor or you require more energy, each individual wheel can be adjusted to suit your driving needs. When driving in harsher winter conditions the Mitsubishi Eclipse Cross remains stable on frozen or slippery surfaces. The 4WD model allows drivers to switch to 4x4 mode, meaning challenging surfaces such as gravel, sand and wet grass can be tackled with ease. Mitsubishi have described the Eclipse Cross model as having ‘our best interior yet’. With fresh, new technology centring the model and well-defined, strong lines surrounding it, the cabin of the Eclipse Cross stands out a mile. Standard features include a touch pad controller allowing for easy access and control of the vehicles’ entertainment system. The Smartphone Link Display Audio System enables drivers to view their favourite entertainment via a seven inch display screen. On higher spec models a Heads Up Display System is available, allowing the driver to view important vehicle information, pertinent to being able to operate the vehicle. Safety is of paramount importance to Mitsubishi which is why on this new Eclipse Cross they have included a range of features to ensure the safety of drivers and passengers. Drivers can benefit from the Adaptive Cruise Control feature allowing them to examine the road and constantly make required adjustments to speed while maintaining a safe distance between the driver and the car in front. A Rear Lighting Bar increases visibility of the Eclipse Cross from behind. There is also a 360° camera mounted on the Eclipse Cross giving the driver a clear view of the nearby area surrounding the car and making reversing into challenging spaces child’s play. The camera is automatically switched on as soon as the driver selects their reversing gear when wishing to engage in a manoeuvre.